If that sounds valuable to you, then you're in luck. Imagine... One Simple Strategy That Places Life-Improving Information Directly Into Your Long Term Memory. 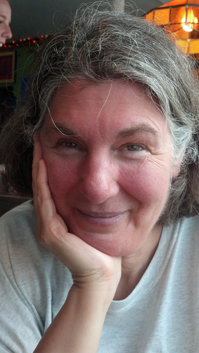 Prior to discovering you and your teaching methods, I spent HUNDREDS of hours using flash cards (rote learning) reading books, and pursuing other “experts” in the field of learning and memory. The first time that I heard you speak about the Magnetic Memory Method, I knew that I had found what I was looking for. Now, I believe that I truly can learn ANYTHING. The greatest challenge, is figuring out what I want to pursue next. I truly believe that your method is unique to anything else out there. It is groundbreaking. You have really opened my eyes and my mind to the potential of my mind – and I thank you so much for that. 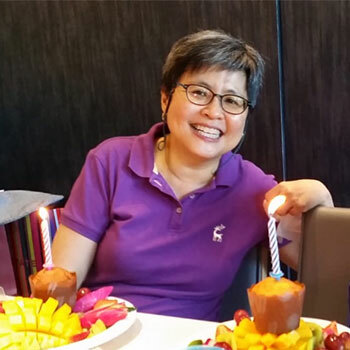 Being a global entrepreneur, languages and information are abound which are required if you want to seal business deals effectively and efficiently. 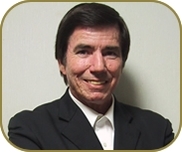 My secret tool is the Magnetic Memory Method by Dr. Anthony Metivier. It was his teaching that enabled me to quickly access information of any sort, and more interestingly languages from my brain on the fly. I highly recommend this method for those who wish to learn a language fast and also for those who are required to recall massive amounts of information quickly. Forget about rote learning and learn the proper way to memorize. 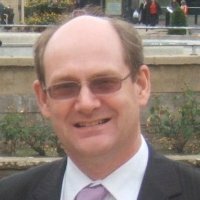 I made a point of using your techniques to memorise the names and faces of people in the project I joined in April this year. There were 98 people in the list when I started and now there are over 180. In the first weeks of memorising, using your methods to actively commit the faces and names to memory, I certainly had the ’Metivier buzz’ and was amazed at how much I could remember. No prizes for guessing which of the team stick in my memory best. That’s right, about 98, and a bit more. The methods and principles you teach do stick, and become in some way ’internalised’. You can’t really forget the principles themselves, once you come to understand them. 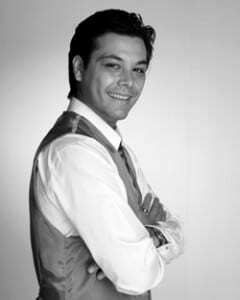 I must say Anthony that you are inspiring. Dare I say that the skills you impart are healing in that they gave me so much hope and encouragement. It is more than that though… there is rare quality of kind support that is clear, real and present. Your teaching is skillful and very helpful. You are not just another purveyor of some fancy gizmo that let me fall flat. “Magnetic memory using Memory Palaces as taught by Anthony Metivier has been a delightful journey. After an initial couple of months of learning this approach, I have found memorising anything to be much less painful, and much more enduring over time. I learnt the ancient Koine Greek through brute force rote learning that took years of tears and pain. I now remember whole chunks of passages in this old language, and words of another language I’m learning with such ease that I often think it can’t be this easy. The “work” has been to calm my anxieties and temptation to go down the brute force, and the effort to move towards creating memorable images which are tied to images and locations I already know. But get ready for a shock. 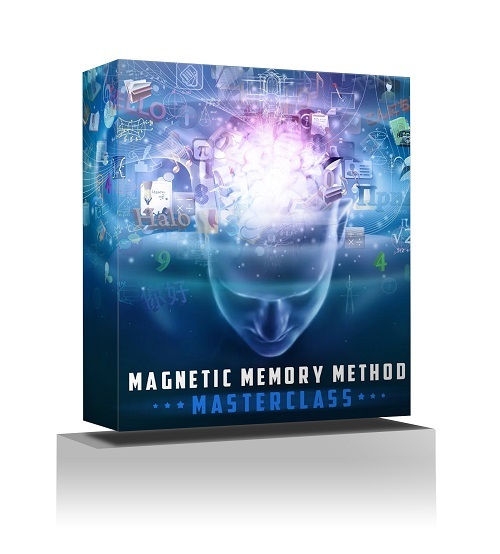 The Magnetic Memory Method Masterclass is unlike anything you’ve ever seen before. If you’re expecting some boring collection of videos, like those available all over the net, you’ve got another thing coming. You won’t be bored to death with those outdated, boring lessons where the instructor drones on and on with their stiff manner of speaking. Yes, although those teachers may have gotten an ‘A’ in Memory Skills class, I can guarantee you that they’ll never teach you to use your memory the way I can. Actually, that’s the whole point of the Magnetic Memory Method and this Masterclass. Even if you don’t think you have a creative bone in your body, you can still create powerful, perfectly-functioning Memory Palaces just by filling in a few simple blanks on the Worksheets provided. There are some fun exercises you'll complete too. It really couldn’t get any easier. You’ll literally have your first Memory Palace up and running in about 2 minutes. You’ll be ready to go … without having used your imagination at all! And when the time does come to use your imagination, you’ll know exactly what to do and how to do it. This will happen because everything has been laid out for you with the simple explanations and examples needed to get started right away. * Memory secrets not even World Memory Champions know about or use - and yet still claim prizes of up to $40,000! With the Magnetic Memory Method Masterclass, you get all of this and more guaranteed to produce results for you every time you use your memory. And it doesn’t matter if you’re a student, professional or just someone interested in the art of memory – The Magnetic Memory Method Masterclasss will improve the quality of your memory right away. In fact if you’ve ever worked with me before, you know I’m a huge fan of over-delivering. That’s why I’m also including several bonuses to give you even more value and help you take your memory learning to the next level. OVER $493 WORTH OF BONUSES – FREE! 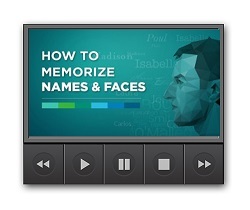 * The best method for memorizing numbers using simple shapes that you already know. * World famous techniques for getting long and complicated equations into long term memory so that you can pass any exam or code any computer program with ease. * Exact methods that are easy and fun for testing the memorized information so that you're comfortable recalling the math you've memorized in even the most stressful situations. How to completely re-wire your mind so that whatever feels like “work” instantly becomes playtime – every time. The ultimate no-nonsense time management strategies for learning anything that no one has ever taught you before. If you’ve ever bought an exercise machine, but wished it had come with a personal trainer in the box, here’s your chance. You’ll get access to hundreds of pages of backup coaching and all the insight and inspiration you’ll ever need to create killer Memory Palaces. Hundreds of questions answered. With just a glance, you’ll find reference material about just about every memory technique in existence, and most importantly, guidance about what techniques not to use! Hundreds of examples given. Certain ways of memorizing have been proven again and again to produce rapid results. Now, you’ll have a ready-reference of tested techniques for your next learning project. Powerful ways to improve the quality of your mind. Instead of falling back on memory techniques alone, you can take advantage of powerful brain exercises that will keep your mind sharp for good. There is a penthouse in the world of memory. Resting above the parts of your imagination that can effortlessly memorize and recall anything, is an untapped resource that provides you with amazing information that you forget almost every morning. Put a whole new spin on your ability to think critically. Enable you to understand your true intentions and goals in life from perspectives that normally go unnoticed. If you’d like to experience incredible boosts in concentration, creativity and memory in just a short time, this special bonus will let you tap into the massive amount of imaginative power sitting dormant in your mind. 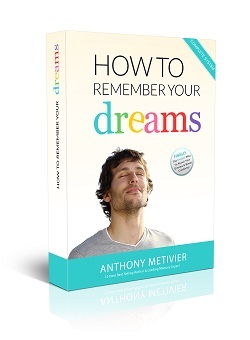 Let How to Remember Your Dreams give you the keys to the kingdom of your unconscious mind. 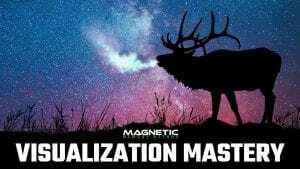 Visualization Mastery - New for 2019! When it comes to using memory techniques, too many people try to "see" pictures in their mind. Not only is this not necessary, but it can lock you out of the exact goal you're trying to achieve. ... and you get the calm confidence that tells your brain that you're serious about memorizing information quickly, efficiently and permanently. Together, these five bonuses are worth more than quadruple your investment in the Magnetic Memory Method Masterclass - but they’re absolutely free when you order right away. 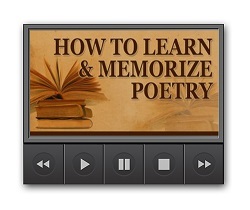 With these three bonuses, along with How to Learn and Memorize the Vocabulary of Any Language, How to Memorize Names and Faces, and How to Learn and Memorize Poetry, you’ve got a complete system for maximizing your memory – right now! Okay, So What’s The Cost To Access This Incredible Resource? The value here is seriously over-the-top. Just one of these courses would normally run you $97-$499 or more... and if you were to purchase each one individually found inside the Masterclass (along with today's bonuses) you'd be looking at investing $1,686. But I’m not going to charge you anywhere near that amount. In fact, your total investment for these memory improving, sit-back-and-relax training videos and fill-in-the-blank worksheets is just one installment of $497. The results you’ll gain as a result of taking these courses will easily pay you back hundreds (probably thousands) times your meager investment as you ace tests, zoom through certifications and rapidly increase your knowledge about everything you could ever hope to know. Test-Drive The Magnetic Memory Method Masterclass For A FULL Year Before Making A Decision! Look, I have no interest in accepting your money if you aren’t going to benefit from it. These strategies DO work. The only way they wouldn’t work, is if YOU didn’t put in the effort to actually implement them. Look, I don’t want to force you into a decision. Instead, test-drive the Magnetic Memory Method Masterclass for a full YEAR before deciding if it’s right for you. Go through all the courses. Use the techniques. Apply them in your life. If you aren’t absolutely DELIGHTED with the results you get, all you have to do is shoot me a quick email (there’s a contact form in the members area) and I’ll happily refund your investment with no questions asked. This makes it absolutely risk-free for you. Heck, you can get a refund for ANY reason. Maybe you don’t like the sound of my voice… or you need money to pay a bill. Honestly it doesn’t matter. You have a full 12 months to make that decision. And even if you decide that the Masterclass is not for you, the free bonuses are yours to keep for free regardless as a “thank you” gift from me for trying this out. Good news. The refund was received today so everything is now satisfactory. Thank you for your assistance. I don’t like bothering you as your time could be better utilised doing your good works. The dreaming aspects don’t appeal and I thought I would use the funds to purchase some of your books on Amazon. 99.99% Of The Time, Masterclass Students Experience Mind-Boggling Success! This course does exactly what it says and it “shows” you how to be successful. I have read 10 books on Memory Palaces and none demonstrate the method. 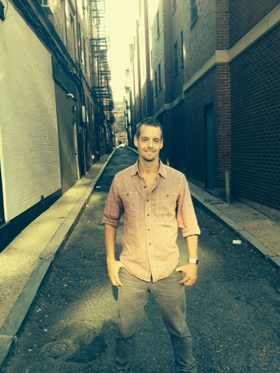 Anthony shows you how to create personal experiences for long term memory retention. I’ve been loving the program and can tell you really know your stuff. There’s wisdom in the simplicity of your answers and your Cognitive Overload avoidance strategies. 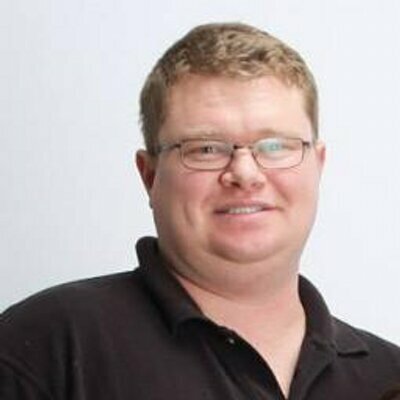 I can tell you’ve put great effort into making the video courses and am thankful for that because it works. Just the other night I was able to memorize 100 numbers total, in about two hours! If you had asked me to do that before learning the techniques I’d never be able to do that! Hell, I’d laugh at the thought, especially considering how hard it is to remember numbers in the first place. It’s like taking the limitless pill….but no pill required. I have completed several memory courses and have had varying degrees of success. 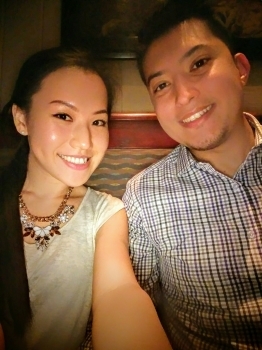 However, Anthony gives some detailed advice and training tips, that have made memorization, languages in particular, a lot clearer to me. For myself, he has filled in the blanks so to speak and he has provided some solid information and tools, that have allowed me to take my language studies to a much higher level. Not to mention the fact, that I am now able to expedite the whole process. Look at it this way — $497 is really a painless drop in the bucket compared to how much money you'll spend on things that won't have a significant difference in your life. For just $1.36 a day over the next year, you can improve your memory and keep it for life, or get your entire investment back and keep the bonuses forever. 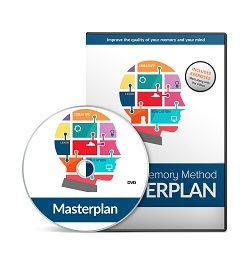 You Simply Can’t Afford Not To Invest In This Life-Changing Memory Improvement Masterclass! 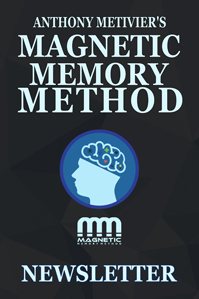 Get access to the Magnetic Memory Method Masterclass today and achieve fantastic breakthroughs and help you improve your memory and remember names, faces, foreign language vocabulary and much more. #1) The Magnetic Memory Masterclass – You’ll get access to all the available courses, showing you step-by-step proven techniques to skyrocket your ability to memorize anything. 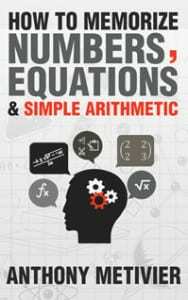 #2) Memory Bonus #1: How to Memorize Numbers, Equations and Simple Arithmetic. Never be stumped by a phone number or even a complicated mathemtical formula again. 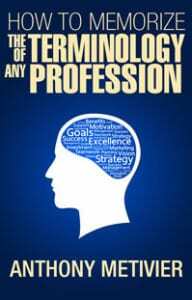 #3) Memory Bonus #2: How to Memorize the Terminology of Any Profession. Sooner or later, you're going to have to step up your game if you want to make it to the next level in life. This bonus will help make sure that happens. 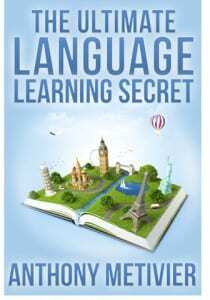 #4) Memory Bonus #3: The Ultimate Language Learning Secret – This important bonus is your magic formula for accomplishing your learning goals quickly and easily. #5) Memory Bonus #4: The Magnetic Memory Method Newsletter – You’ll get access to hundreds of pages of backup coaching and all the insight and inspiration you’ll ever need to create killer Memory Palaces, plus tons more. #6) Memory Bonus #5: How To Remember Your Dreams – Experience incredible boosts in concentration, creativity and memory in just a short time with this amazing bonus that taps into the massive amount of imaginative power sitting dormant in your mind. #7) All Future Updates – Just as I've recently added Visualization Mastery, I constantly add new FAQ videos, walkthroughs and posts specific to customers of the Magnetic Memory Method Masterclass, based on YOUR feedback. Get full access to the entire course, all bonuses and all future surprise updates for just $497. It’s easy to get started right away. Just click the button below, enter your information and that’s it. Nothing to mail in or send. 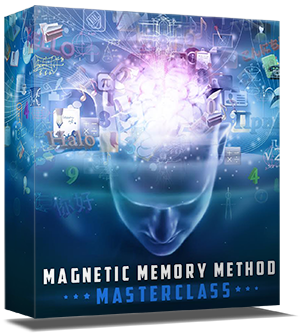 You can have immediate (and unlimited) access to the entire Magnetic Memory Method Masterclass in a matter of minutes. Click the button below now and I’ll see you on the inside! You’ll never again suffer through the pain and hassle of forgetting the detailed information you need. Now you can have the techniques you need practically handed to you on a silver platter. Order now through this Secure Server and get instant access! * IMPORTANT: All of these testimonials involve exceptional results that apply to the average user of the Magnetic Memory Method if they use the techniques on offer. Without using the training, there is no guarantee that anyone will achieve similar or the same results. Unfortunately, the typical result is little or nothing because people are too busy, too distracted or even too lazy to turn even the best memory training and resources into results. So if you’re not going to USE these tools after you buy, save yourself the money and the trouble. But if you do buy and apply yourself, you could be in for very ATYPICAL results. * DISCLAIMER: I have not personally investigated or substantiated any of the user comments or claims. Some users may have been incentivized to submit their comments, and I have not verified the results quoted in them.